October is the month of equal relationships. Are you #ForEqualRelationships? Take a stand, join the movement! 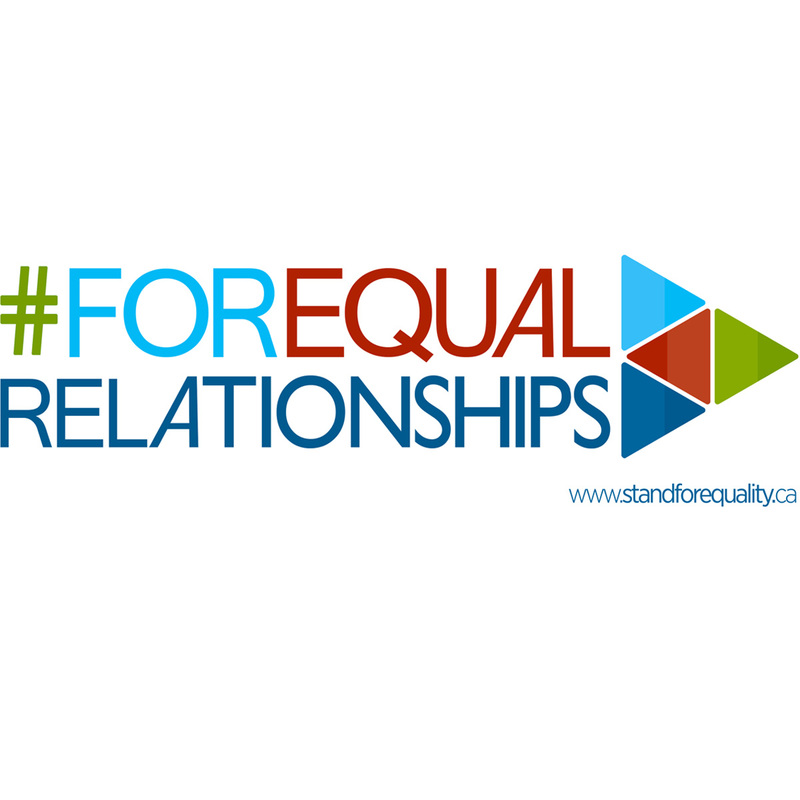 Download and print the #ForEqualRelationships logo. Take a team photo (with your coworkers, members of your sports team, etc.) with the logo. 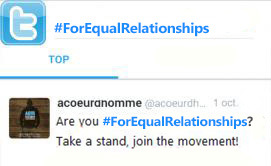 Post this photo on social media with the hashtag #ForEqualRelationships and let people know why you support equal relationships. 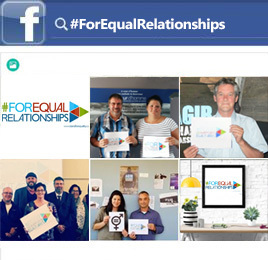 Download and print the #ForEqualRelationships logo. Display it in your shared spaces or include the logo in your online communications throughout the month of October: email signature, blog, website, etc. Sign the online pledge below and let everyone know: I Stand for Equal Relationships. Je me déclare en faveur des rapports égalitaires. 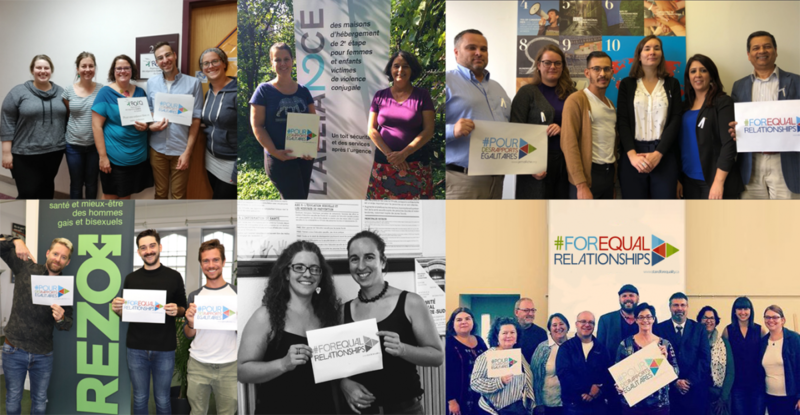 Parler des rapports égalitaires avec mes collègues de travail, mes amis, ma famille, etc. 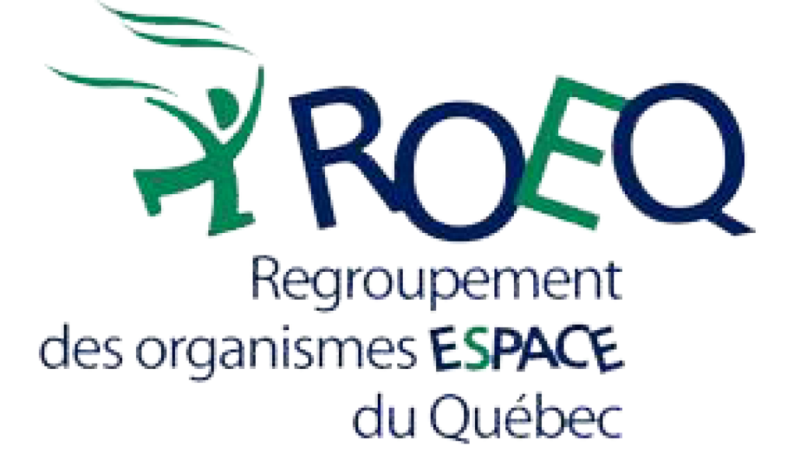 Mettre au défi une organisation (organisme, entreprise, équipe sportive. etc.) ou une personne de s’afficher pour des rapports égalitaires. Autre action pour s'afficher #PourDesRapportsÉgalitaires de ma propre initiative. Talk about equal relationships with my colleagues, friends, family, etc. Challenge an organization (company, sports team, etc.) or a person to stand for equal relationships. Another action to stand for equal relationships of my own initiative. En signant ce formulaire, je me déclare en faveur des rapports égalitaires. En cliquant sur Soumettre, je consens à ce que mon nom, prénom et ma région soient diffusés publiquement sur ce site web. By signing this form, I affirm my support for egalitarian relationships. By clicking Submit, I consent to having my first and last name, as well as my region, publicly displayed on this website. Cliquez ici pour consulter la liste des signataires. Click here to see who else has declared their support. I Stand for Equal Relationships is a campaign to raise awareness and promote equal relationships between all people, regardless of their age, sexual identity, sexual orientation, background, or religion. Supporting equal relationships also means opposing violence in all its forms. More information.